The city of El Monte in Los Angeles County is a hotbed of residential, commercial and industrial activities. With a population of about 115,000 residents making it the 10th highly populated cities in Los Angeles County and the 52nd in the entire state of California. El Monte’s staggering population comprises of people of all works of life and different races. This ‘friendly’ city is open to any and everyone as its slogan “Welcome to Friendly El Monte” says. El Monte is referred to as the end of the Santa Fe Trail and is strategically located in the San Gabriel Valley which is east of Los Angeles. The beautiful residential and commercial city of El Monte is also home to several law offices because as you know there’s need for a competent El Monte attorney on your side of the law in case something happens. There’s no telling if or when something unpleasant happens like getting unfairly dismissed, sexually harassed or a legal tussle over real estate. There’s no better way of fighting for your right than visiting the law court and trying to get the verdict you deserve. Who’s in the best position to see that you stand a chance of victory in the law court than a competent attorney at law? Knowing that there are several El Monte Attorneys whom you can hire to represent you, your primary focus should be deciding on which attorney will help table your case properly so you stand a huge chance of coming out victorious. The benefits of opting for the right El Monte Attorney cannot be overemphasized. Your case no matter how small needs a professional hand that’s well-trained and has prior experience in handling such matters. You want to go hard on the case with everything legally possible to ensure you are adequately compensated and you get the closure you deserve. This is why Rawa Law Group is one a kind. We are here to serve you and ensure your reasons for opting for a top legal practitioner are met. Our law firm isn’t just a recently established firm with no track record. No, we are an established firm with over 20 years of continually serving the legal needs of residents of El Monte and surrounding regions. Our attorneys are well-read, have the tact and proficient in exercising their duties. They also have the experience every client wants, so you can rest assured that you get the best possible service. Accident cases like motorcycle accident, truck accident, and auto accident – our top accident lawyers are at your service. Our other ready to serve attorneys include unpaid overtime attorneys, wage and hour attorney, unlawful termination attorney and a host of others. Noting these, you can see that our firm attorneys are vast in almost every major cases related to work and injuries/death. 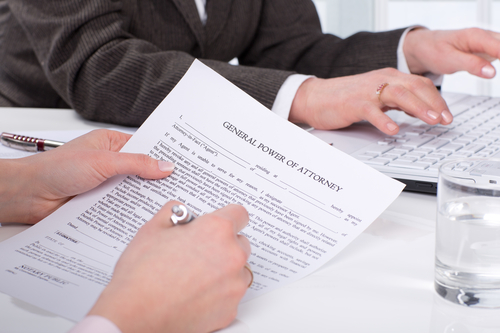 We have some of the best attorneys in the field, so you can expect to have the best legal representation. Tap from a team of accomplished and experienced legal luminaries. We are a 5-star law firm, this makes a go-to law firm for people in El Monte and various other cities spread across the state of California. There’s a no-commitment, zero deposit fee for our clients, this means that you don’t have to worry about any down payment before we take up your case. All clients are given personalized representation and individual one-on-one attention. This way we get the most details about your case and work towards getting you the most settlement allowable by law. We provide you with ethical legal counsel with zero hidden charges. We believe in precise communication, this is why we keep you informed about your case progress from start to finish, this entails that you are part of the decision makers as we work together towards your goal. If you are in El Monte and looking for an attorney who would sit down with you and understand your case, educate you on your rights and help you fight for it by putting all efforts into seeing that the outcome of a legal process is a victory for you, then come to us at Rawa Law Group. Our attorneys are unlike other El Monte Attorneys who are not fully immersed the proceedings; we are dedicated to every one of our clients this is why we offer unparalleled legal service in the city of El Monte. Why wait when you can have us represent you and win you the maximum settlement permissible by law? Reach out to us and one of our experienced attorneys take up your case. Take advantage of our FREE consultation service today. Put a call through to us on 1-844-444-1400 or visit our office and you would be glad you did.